It’s better to learn this now before you think your dog is poisoned. If you see these dog poisoning symptoms you need to act fast. When it comes to life-threatening situations, every minute counts and we all want the same thing, your dog to live! So read this carefully and be prepared in case your dog is suffering. IF YOU BELIEVE YOUR DOG MAY BE POISONED, STOP READING THIS AND CONTACT YOUR VET NOW! If you cannot reach your vet, contact the emergency vet or poison control for dogs. You can reach the Pet Poison Helpline at 1-855-764-7661. 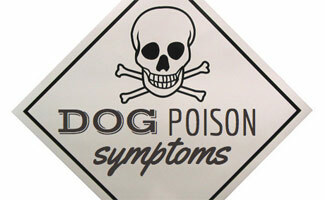 The many different types of dog poisoning have various symptoms. We all know our dogs get into things they aren’t supposed to, so it’s our job to keep harmful objects away from them. Below are the different types of symptoms associated with dog poisoning. Dogs with irregular heart rhythms and cardiac symptoms have most likely gotten into a medication or plant. This includes jimson weed, kalanchoe, milkweed, mountain laurel and oleander. Antifreeze poisoning can cause your dog kidney failure and the inability to produce urine. Plants can also cause kidney damage. These types of plants include dieffenbachia, Easter lily, caladium, pigweed and philodendron. Medications like acetaminophen and plants such as tansy ragwort or rattlebox can cause liver damage. If your dog has bruising, blood in their stool, nosebleeds or anemia they have most likely gotten into rat or mouse poison. However, if they’ve gotten into your garden or kitchen and eaten too much onion, garlic, sweet clover or bracken fern they could also suffer from anemia and could even die. 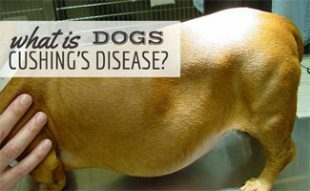 Dogs suffering from seizures and other neurological symptoms have possibly ingested one of many things. This list is long and includes the following: antidepressants, alcohol, aspirin, drain cleaners, dishwasher soap, gasoline, marijuana, flea repellents, tobacco, furniture polish and strychnine. 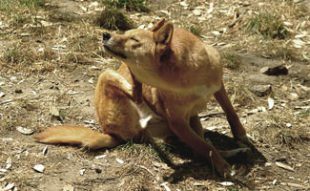 Exposure to, or bites from, poisonous animals can cause dogs to seize as well. These animals include certain breeds of snakes, spiders, toads and frogs. Specifically, you’ll want to look out for Florida marine toads, Coral snakes, Colorado River toads and brown recluse spiders. Plants can cause neurological symptoms as well, this includes buckeyes and horse chestnuts. Garbage, lead paint, English ivy, English holly, snake bites, chocolate, medications, poinsettia, iris, Chinaberry, daphne and pokeweed are all dangerous to dogs. Digesting these substances can result in gastrointestinal symptoms such as diarrhea, loss of appetite and vomiting. Overall, look out for these signs. If your dog is suffering from one of these things you’ll want to get help immediately. In 2011, dogs eating toxic foods was the #1 cause of dog poisoning. We know it’s impossible to watch your dog 24/7, but if you know there’s something your dog shouldn’t get into you should put it up high in a cupboard, or somewhere else you know they can’t reach. Dogs eating chocolate or grapes is preventable. Be cautious of where you place your food and check out our extensive list of foods dogs should not eat. To learn more about the dangers of dogs eating chocolate, watch this video below. Program your vet’s phone number into your phone as well as the emergency vet. You should also have it written down in a place you can find easily at home. If you think your dog has poison symptoms don’t hesitate to call. Contact the vet and explain your situation. Ask them for advice on what steps to take next. 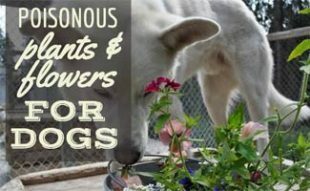 If your dog may be experiencing dog poison symptoms, be sure to also read our article on how to treat a poisoned dog and our guide to poisonous plants. 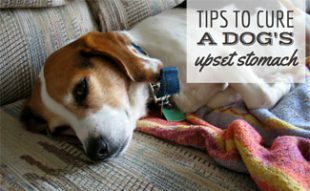 Remember, it’s important that you learn these things now before your dog is in distress, so that you can act quickly and efficiently is trouble arises. Has your dog every gotten into something they shouldn’t have? Hi my baby died the other nigth and I don’t no why she had problem with sitting she couldn’t get comfortable she was in serve pain she would go in hide when the pain got real bad .she finialy came to me I was loving on her about 30 minute than all the sudden she started screaming in pain took one long breath throwed her head back and she was gone .what could it have been and all this happen in 3 hours.Plaese help I need closer. I’m so sorry for your loss. I’m unsure what your dog died from. I would suggest calling and asking your vet what they think it sounds like. You may find this page to be helpful. It discusses How To Deal With The Death Of A Dog. You are in our thoughts. What do you think happened here? Please, I would appreciate your time and knowledge, very much. I am willing to discuss – publicly. I hope this can save a dog, someday. DC is no longer with us… and he died the night I received these results. Thank you for your time. I just got my pup a week and a half ago well two days ago he became really weak and lathargic . little warm . but he would get up every once in a while to potty but wouldnt eat or drink. Well i got up this morning tobloody diarrhea all around my house and he just laid there . i moved him outaide in a comfy bed as his eyes were rolling back and his gums were greyish white. Which i know is bad. I have lost three dogs in less than a month . one was ran over . these last two exact same symtoms i thought maybe my yard has parvo? Then i remembered my neighbor kids threatened one of my dog already. And my other small breed dog is still bouncing off the walls. So now im thinking maybe someone did poison them. Oh Tabi, I’m so sorry. I can’t imagine losing 3 dogs in a month. You are in my thoughts. I hope someone isn’t poisoning your dogs and I hope your small breed dog stays healthy and active. My Daisy was a year old. She had been getting out of yard. We had a hard time keeping up with the holes dug under the fence line. she came home a couple days ago looking sick. I have no idea what she got into. She would not eat. She had this foul smelling discharge. It was dark brown/ red. We forced water down her but nothing we did helped. She died 2 days later. I want to know what killed her. Lost my sweet baby last night and I don’t have any answers. She was fine all day. Then she came up to me last night with a stiff leg: like holding it straight. You could tell something wasn’t right. My husband assessed her and we decided to take her to the vet. The vetenarian examined her and guessed she had tetanus. Her conditioned worsened over the next hour while I was there. Blood work normal. X-ray normal. He said one option would be taking her to a university near us. We would be looking at tests ranging from 3500 to 4500. She eventually laid there pretty much motionless, and we made the excruciating painful decision to put her to sleep. It wasn’t about the money. It was about her being miserable.. She would be 12 this September. Was she poisoned? Did she have cancer? Was it tetanus? I need answers. I’m heartbroken. Teresa, I’m so sorry your sweet dog went through this. I can’t say what caused this, but I know you had to make an extremely hard decision and I think in the end it was the right one for her. That doesn’t make the loss of your dog any easier on you and your family though. Please know my thoughts are with you and I am so sorry for your loss. Thank you for sharing your story with us. You may find this article helpful. I’m so sorry for your loss, Christena. I appreciate it when you said that when it comes to food that is poisonous to the dog, it is best to put them high up in the cupboard so that they have no possibility of reaching it. The only problem is that my pet is so smart he was able to reach even the cupboards. It is possible that his size contributed to it, and now he was able to get the chocolate hidden there. He hasn’t shown signs of poisoning yet, but I will still take him to the vet. Just a quick warning – I have two chihuahuas – Miss B is 5 lbs, Penny is 9 lbs – they were both on heartworm and flea and tick meds – Miss B was experiencing seizures, loss of appetite, lethargy and weepy stained eyes – I mentioned all of this to the vet and explained that I thought it was the meds – although the meds were for her weight I still believed it to be the meds – I pointed out to him that all of her symptoms were listed in the med inserts as possible side effects – the vet actually said … No she’s epileptic – Im sure this is their standard operating procedure as they could never say the expensive meds I’m prescribing are slowly killing your dog – so I fired the vet and took her off the flea and tick and continued to give her the heartworm med (because I had a few months left) – she continued to have the same symptoms – so I took her off the heartworm med as well – it’s been 6 months since she has been off all meds and she hasn’t had any seizures, her eyes are clear, she has a normal appetite and energy level returned – my warning is for small dogs – these meds are powerful and although they are labeled fir small dogs please be aware that you may be poisoning your own dog to the point of seizures!!!! My Cairn terrier was allergic to Seresto flea collar. Within an hour his entire body was itching! Took it off and it all stopped. Another type of dog poisoning I would like to warn for, is the insecticide tick & flea treatments. Especially the oral ones, the so called “tasty chews” (available in various brands, some are for a one month treatment, others work for 3 months). I lost my dog because of such a chew. Both my dogs got ill and one died within a month, the other had a very poor appetite for almost 6 months. I will never use such treatments again! Do you have a family member or neighbor who can help get your dog to the vet? Another option would be to call your vet and see if they can do a house call or help you find a way to get the dog to them. Money grubbing a*******. You expect people to spend thousands on a pet. Can’t do it. I can’t afford my own medical bills. But I bet you can. So then don’t get a pet? What the hell is your problem? My life is worth no more than my dog’s life. It’d be stupid to want to have a pet and not expect to take care of them – they become a part of your family when you take them in. So you should treat them like family. If you can’t treat them with the same amount of care that you give to yourself then don’t get one, and there’ll be no need to complain about it. Had anyone had trouble with a puppy chewing on treated bark? Is this stain looking material toxic? I truly believe my next door neighbor poison my 8 year old rott .he walk very slow ,but how can I know for sure? Also, for future references, maybe get a pet collar with a spy camera hidden inside it? Or place a small camera in your backyard – they’re fairly decent priced (below $100) if you get an average quality one online. Have you taken her to the vet? My pretty girl Bella (blue eyes) is (was) an All American Pitt. Not what most people think , my pitt baby was very friendly, never knew a stranger. Anyways, my neighbor hated my baby, then one day I noticed she was sick… 5 days total. 1st day she was throwing up, not wanting food, not even her favorite TREATS! Which was really odd…she acted that way for 3 days, then it got worse. 4th day she started to spew rotted smelling blood when she done number one or number two. Now it was a lot worse at number 2. I called the vet but they were all closed except one that was a 2 hr drive which would have been closed when I got there. So I got everything I needed for her ready for the vet first thing the next morning, which was too late. The big dreadful day I was sitting in the living room floor with her in my arms I could hold her head a certain way and she would be able to breath but she would seize out too. I held her for 10 minutes before she took her final but last breath. I need a piece of mind here, what was it? I’m so sorry for your loss Lola. I’m sure Bella appreciated having you with her during her final hours and having you hold her as she took her last breath. Unfortunately, I cannot say what caused her this illness. Perhaps talking with a vet could help clear some of it up for you. Thank you for sharing your story with us and know that our thoughts are with you. if you can prove they poisoned your dog you can take legal action against them. try to get them to admit it and record it. and try to find out details like what kind of poison they used and how your dog got it. these jerk need to be stopped. It sounds like parvo.. If u missed her yearly vaccination she is highly likely to get that disease. Parvo it’s highly contagious between dogs. Also parvo has a distinctive smell in the blood like u were mentioning. My dog passed of Pasco and she bled all over. It.was horrific! I rushed her to the vet but it was too late. The smell of the blood I will never forget. Even in humans, a dermatologist will look at something and tell you, yes that’s a rash… but they also say 2 things… bad diet, and too much stress.. This is some great information, and I appreciate your point that seizures can indicate poisoning in a dog. My dog had a short seizure yesterday, and it’s been a while since he last had one, so I’m not sure what caused it. I’ll definitely keep an eye out, and if he has another one, I’ll be sure to take him to the animal hospital to see what the problem is. Thanks for the great post! As I sit here typing, I am watching my little Molly, a Bichon Frise, slowing dying. It’s breaking my heart because I can’t find a vet that will let me make payments for a visit and testing she needs. I am a 66 yr. old disabled senior and money is hard to find. She hasn’t held food down for a week, now nothing stays down, not even water that she was crying for at the onset. Two nights ago, she started vomiting black tarry substance and also her poo looks the same. It’s been almost non-stop vomiting (which is the only thing she stands up for now.) since last night. I’m wondering if she ate something poison on one of our walks. I called her Hoover before she got sick because she would eat any type of food and try to swallow it whole when I tried to get it. I live in a large apartment complex and have heard that animal-haters here have been threatening to poison the animals. Does anyone know how I can get her seen without all the money up front? Any information is appreciated. I rescued her off the streets and she brought me out of a major depression. I have sleep apnea too and she would bark when she noticed I stopped breathing in my sleep to wake me up. I promised her she would never be abused again and now I feel like I am the abuser. All I can do is cry for my baby, Molly. Prayers appreciated too. Hello Karen, I hope Molly is doing better. Have you tried or contacted Animal Humane Society? If you call them & tell them your situation & Molly’s illness they can help or point you in the right Direction, there are a lot of non-profit organizations that assist with fund’s everywhere even in rural areas. There’s also always Social media you can start a “go fund me” account in which people,s friend’s etc.. donate money to you. On another note I’ve had to rush my dogs to the vets, sometimes emergency vet centers, at the time walking in there I didn’t have a dollar in my pocket however, I was never turned away, I simply explained that I would have to pay them in a week or two when I was paid, and sometimes i would have to tell them I couldn’t pay them the whole amount in one payment. I’ve known ONE person that has ever been approved for care credit. Its not as easy to get as people think. I was working at a fortune 50 company making almost $20 and hour and was denied. For real?! I have had two separate accounts with care credit. Two open at the same time might I add. I don’t make $20.00 an hour! Crappy credit I’m guessing. But, it’s strange they wouldn’t even give you a $200 line.